An academic, business and federal funding team led by the University of Missouri-Kansas City has closed the loop on a nuclear detection instrument. In addition to boosting national security, this is quite a success story. In academia, few technologies make it past a journal publication. “This interdisciplinary group sets an example of how a university can traverse the valley of basic funding, and how that technology can be commercialized,” said UMKC Chancellor Leo E. Morton. For the last eight years, UMKC Physics Professor Anthony Caruso and a team of 20 student researchers, two companies and three universities — who started with a fundamental concept and prototype — have transitioned their research instrument to a commercial product and won a prestigious R & D 100 Award —sometimes called the “Oscars of Invention.” R & D magazine awards the top 100 most innovative technologies and services each year. Caruso and his colleagues were cited in the Analytical/Test category. Caruso’s research, attracting more than $4 million in funding to date, didn’t start out to stop a nuclear terror threat. However, that changed when Caruso met program officers at the Office of Naval Research who believed the teams research could be applied to improve the ability to detect illicit nuclear material in transit and measure radiation dose with high accuracy. 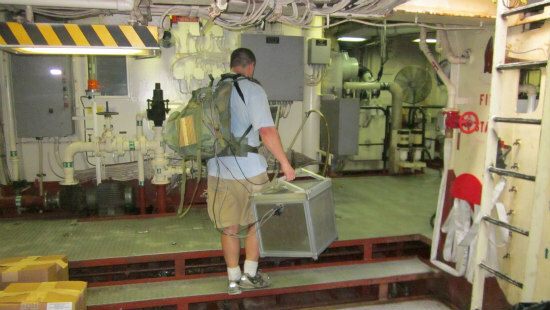 Caruso’s portable neutron-detection technology research could have an application for the Navy as a hand-held instrument that can detect particles emitted from nuclear material on a ship, pinpoint their location and decipher what isotope they had come from. The technology the team developed is an improvement to existing nuclear detection tools on several levels. The instrument could be light enough to carry — older technology is built using detectors and shapes that are heavy and bulky, anything but portable. It is based on the detection of neutrons, which aren’t easily blocked; older technology detected gamma-rays only, which can easily be encased in lead or steel and blocked. And it can detect the location of nuclear particles and determine their source. In 2009, Caruso’s team, including William Miller, a professor from the University of Missouri-Columbia, and Douglas McGregor, a professor from Kansas State University, first began work on a portable nuclear detection device when awarded a grant from the Office of Naval Research. The team later demonstrated that the technology with testing at an East Coast Naval Base in 2014. “That was a big deal as we had demonstrated the art-of-the-possible and learned lessons on how to improve and apply our technology,” Caruso said. The spectrometer was transformed into a commercial product that can be manufactured and rugged for real-life situations through the companies Radiation Detection Technologies Inc. and U2D Inc., through support by the Defense Threat Reduction Agency. Recently, the Defense Threat Reduction Agency raised the capabilities bar for this class of instrument, requiring that the instrument detect, identify and pinpoint smaller nuclear sources that are moving and at greater distances. U2D Inc., a Kansas City-based startup, licensed the technology and is the lead integrator. Radiation Detection Technologies Inc. of Manhattan, Kan., produces the detectors for the spectrometer and is developing detectors for other commercial applications. 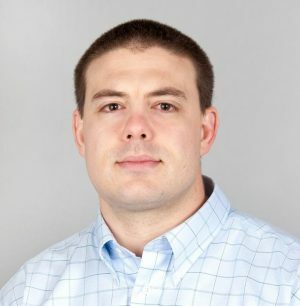 Caruso says the example provided by program officers and scientists at the Office of Naval Research, Naval Research Laboratory and Defense Threat Reduction Agency inspired him to solve the problem of neutron source proliferation and the inaccuracy in dose measurements for military personnel. Tags: Anthony Caruso, nuclear detection device, Office of Naval Research, R & D 100.